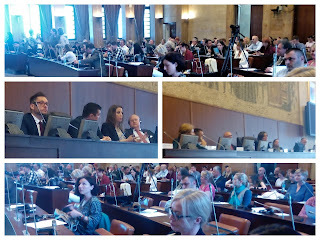 NOVI SAD - National Hearings of the Danube Strategy in Serbia was held on Friday, March 24, 2017, organized by the Provincial Secretariat for Regional Development, the Assembly of the Autonomous Province of Vojvodina and the NGO World and Danube, starting at 10.00 pm in the Great Hall of Assembly of the Autonomous Province of Vojvodina. 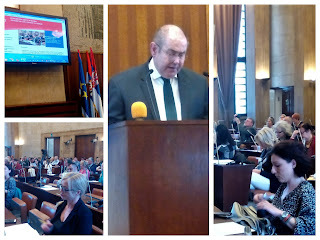 The Conference was opened by the President of the Assembly Mr Istvan Pastor, while the introductory part saying by Mrs Ana Ilić, national coordinator for EUSDR in the Republic of Serbia and deputy director of the Office for European Integration of the Republic of Serbia, Nebojša Vojnović, Undersecretary of the Provincial Secretariat for Regional Development, International Cooperation and Local Self-Government Stefan A.Luetgenau, President of the Danube Civil Society Forum, Eisenstadt, Austria and Matija Vilfan, chief pf the Danube Strategy Point from Brussels, Belgium. 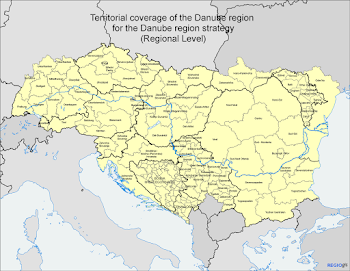 This year's National Hearings to the Danube Strategy, organized with the support of the German Federal state - Baden-Wuerttemberg and Foster Foundation Europe from Austria, as well as the Assembly of AP Vojvodina and the Provincial Secretariat for Regional Development, International Cooperation and Local Self-Government. National hearing was held as an annual meeting of all stakeholders - participants in the implementation of the Danube Strategy in the Republic of Serbia. 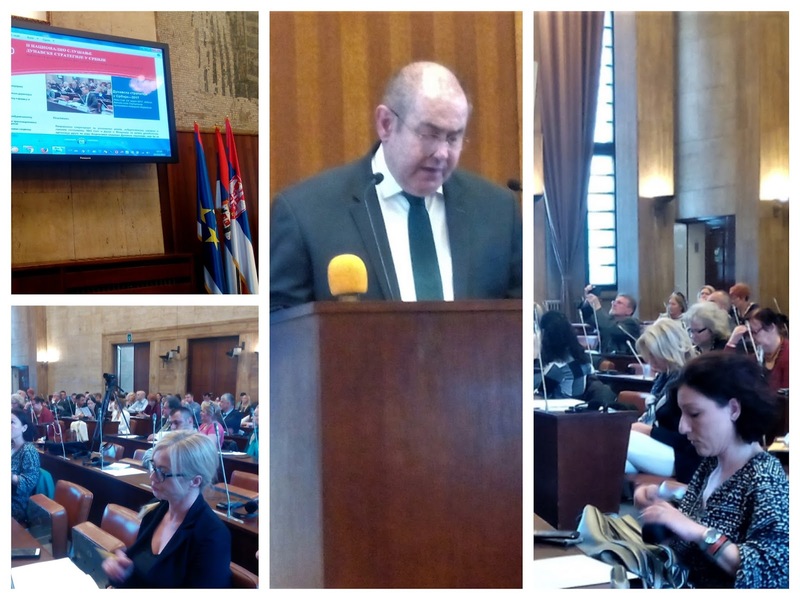 This year's conference summarized the results achieved so far and presented programs of cross-border and transnational cooperation involving the Republic of Serbia. With a detailed report of the National Coordinator for the implementation EUSDR in Serbia, Mrs Ana Ilić, as well as the presentation of the upcoming financial instruments- EU programs for the period to 2020 and beyond, by Mrs Sanda Simic, Assistant Director, Department for cross-border and transnational cooperation: Financing project ideas Danube region through cross-border cooperation and transnational on behalf of the ministry of Education, addressed the gathering Viktor Nedović, coordinator of the priority areas 7 EUSDR and Assistant Minister for international cooperation and European Integration, Ministry of Education, Science and Technological Development of the LETTER of the Serbian leadership's participation in EU programs for education. National Hearings EUSDR in Serbia, this year has actively taken part more than 90 representatives of local governments, civil society organizations, public administrations, universities, private companies, public companies and representatives of EU organizations responsible for the implementation of the Danube Strategy in 14 European and non-European countries.